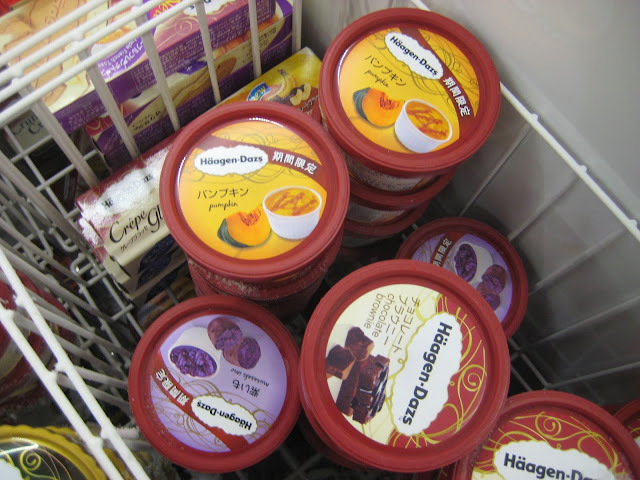 One of the reasons why life in Japan feels like being on another planet (compared to Europe) is the food. You can forget all about the meaty, sugary and carby foods we eat on a daily basis in Europe. Also, Japanese food in Japan is a totally different thing to Japanese food in Europe. In Japan it's all about rice, tons of fish, egg, liters of green tea, seasonal vegetables and some other things you could never find in Europe. Grill restaurant where you can grill your own meat. Also a popular concept in Japan. Rice was also a part of nearly every meal. For breakfast we would have steamed rice, as a snack we bought rice balls at 7/11 and for dinner steamed rice again, sometimes with mushrooms. Below you see a picture of Japanese breakfast, usually consisting of rice, fish, some form of egg, tofu, pickled vegetables and green tea. 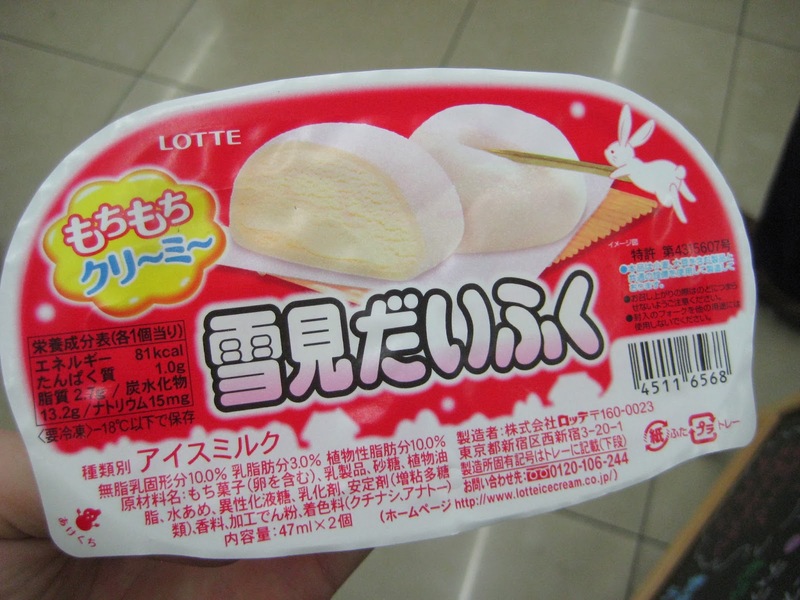 Yukimi Daifuku, my favourite ice cream of all time: vanille ice cream (which is so good in Japan!) wrapped in a little rice dough blanket. Green tea is almost just as common and plentiful as water in Japan. You can get 100 different sorts of green iced tea at supermarkets, and you drink hot green tea with every meal. You could even get free all-you-can-drink green tea at gas stations along the highway. Green tea is really healthy so I sure didn't mind. Another thing you can't find in Europe: plastic replicas of the dishes you can eat at the restaurant. How funny is that? What I can say about the Japanese diet is that it did make me feel great. Never feeling bloated because of over-eating, a clear skin and stronger nails and hair. I think it's mostly the fresh ingredients, the fish and green tea that made the difference. It's definitely a healthier diet than most Western diets, even though I couldn't miss my fruit-yoghurt breakfasts and a good steak with fries from time to time. 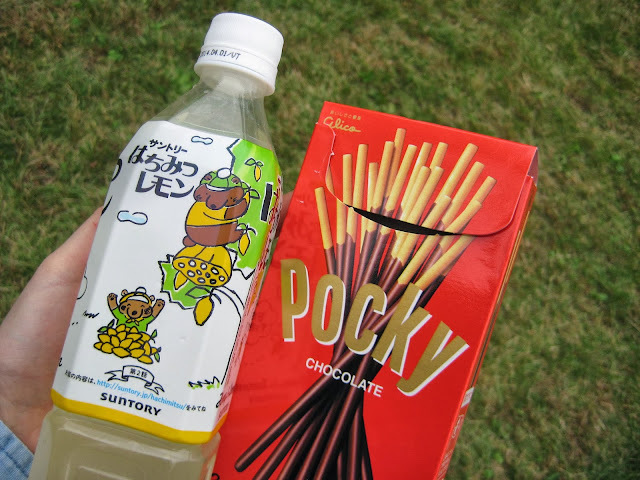 I will definitely to to eat more fish and drink more green tea because I've noticed what difference it can make. 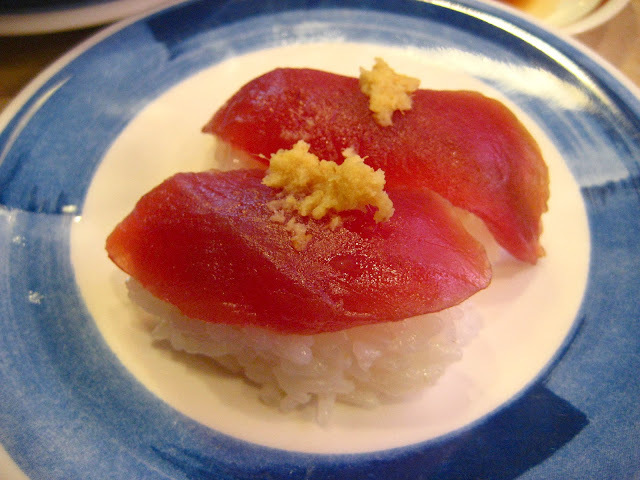 What do you think about Japanese food?